Cool art galleries to check out this summer. Tucked away in a relatively quiet neighborhood, it’s easy for students to forget that Chicago is one of the most colorful and energetic creative centers in the country. Don’t get me wrong: Hyde Park certainly has its artistic gems (Smart Museum, Renaissance Society, Hyde Park Arts Center, and Southside Hub of Production, to name a few), but in order to truly experience the art Chicago has to offer, you’ve got to get out and explore. Summer provides the perfect opportunity to roam the city without the stress of classes (no homework—can it be true? ), so load up your CTA cards and take in a few of the city-wide gallery openings that are sure to startle, confuse, and (hopefully) impress. June 1: I know, I know, it’s the weekend before finals. But why not break out of the coffee-guzzling stress frenzy for one evening to take advantage of the fact that this day is packed with openings all over the city? Forget your stats final for a few hours and go to the Roy Boyd Gallery to see some work by Mexican artist Carlos Estrada-Vega, who creates fascinating paintings out of magnetized, waxed wooden blocks (sometimes numbering in the thousands). If you’re in the mood for something a bit quirkier, check out Packer Schopf Gallery in the West Loop, where Chicago-based artist Mark Crisanti’s exhibition National Geographic combines a range of media to create images perplexing enough to give you something to write about in that last Sosc paper you know you won’t have started yet. Descend even further into the realm of “weird” at the Judy A. Saslow Gallery, where photographer Steven Blutter will provide a collection of original pieces that will undoubtedly demand some attention. In a past exhibition at this gallery, Blutter displayed a photograph of plastic toys that had been screwed into a blanket of bread slices, and then covered with mustard—start honing your powers of interpretation. June 2: If the Reg wouldn’t release you from its clutches the night before, wrench yourself free on Saturday for Garden Party, an outdoor sculpture exhibition at Hinge Gallery, curated by Karolina Gnatowski. The artist has previously created unique, colorful woven pieces, and this exhibition promises to be just as striking as those in the past. June 8: Freedom, thy name is summer. Take that first sweet exhale after the dark week and make your way to FM*Gallery in the West Loop, where CJ Hungerman’s busy, energetic paintings will certainly help you celebrate the end of the year (or help you forget the pain of your bio final). Not quite ready to let go of the “life of the mind” mentality? Go a couple of blocks over to the Thomas Robertello Gallery, where Molly Springfield, notorious for working with books and text as a medium, is sure to provide something to ease in the transition back to real life. July 13: With over 25 different gallery openings in this evening alone, you should have no trouble finding somewhere to go and exercise your eyes. 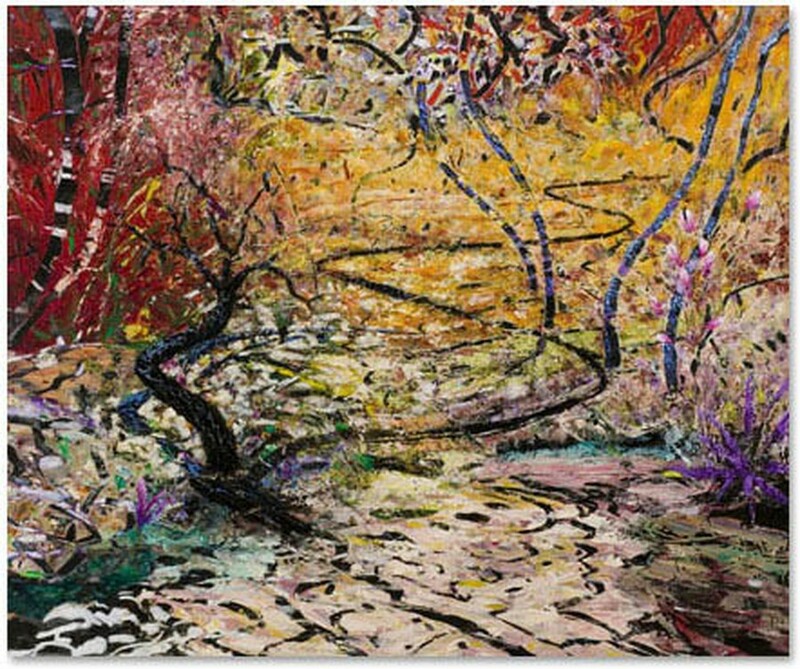 Two galleries in the River North area—Jean Albano Gallery and Zolla/Lieberman Gallery—seem like they will have especially intriguing displays, including work by Jim Waid (at Jean Albano), whose bright colors are largely inspired by Arizona landscapes, as well as Dan Mills (at Zolla/ Lieberman), who works extensively with maps. August 3: Firecat Projects, a fairly young gallery in Bucktown, will be presenting the highly-expressive inks and etchings of Samantha Simpson, whose work is striking in its powerful messages as well as its impressive detail. If you miss out on these or prefer something more relaxed, take a look at the “Fridays” events scheduled throughout the summer. Like other gallery openings, these sometimes provide food, drinks, and interactive displays. First Fridays (June 1, July 6, August 4) often take place from 6:30 -10 p.m. in the Lillstreet Art Center, located in the Wicker Park area; Second Fridays (June 8, July 13, August 10) are held in the Chicago Arts District (at South Halsted and 18th Streets, including over 30 galleries); and Third Fridays (June 15, July 20, August 17) usually take place near the 4Art Inc. Gallery in Pilsen. Both Second and Third Fridays begin at 6 p.m. and end at 10 p.m. However you decide to do it, get out and see something exciting this summer. There are hundreds of galleries in Chicago, so look around and find one (or many) that interest and excite you. This is one of the most artistic cities in the country, so get out of your apartment and get into something beautiful. Or ugly. Or weird. It really doesn’t matter if you find something you love (or something you hate, for that matter), because the looking—well, the looking is the best part.